Those individual bottles are not available for sale, by the way. That was a one-time promo a few months ago through a keto subscription box I review, where you get 6-9 products to try every month – which is how I got the one I threw in my pack. I added water and shook it up and took one sip – and was surprisingly impressed. It’s smooth and creamy with a rich chocolate taste, even with just “trail temperature” water added! I got in touch with Dr. Tracey of Ketologie and got signed up as an affiliate (which means I earn commission on referrals). She sent me more of their products to try so I’ve been sharing about those with you along the way. 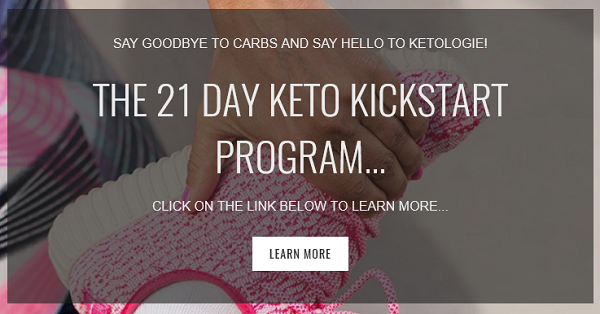 A lot of people have asked me about their 21-Day Keto Kick Start Program too, so Tracey set me up and I took the time to review the entire program and also give ALL of the products a proper test in my own kitchen. The 21 Day Keto Kick-Start Program is $195, which is why so many people have asked my opinion on it before spending that much. If you order the products individually it would be $184.80 for the 5 food products alone, plus $10 for the shaker bottle – not including the other things you get with the Keto Kick Start Program – which makes it a great value. If you just want to try the Ketologie Keto Shakes and not the other products, you can get the free shaker bottle & cooler bag when you order both keto shake flavors in this Keto Shake Bundle Deal. Or let’s say you want the Collagen Protein Powder and you already know which shake & broth flavors you want – like just the Chocolate Keto Shake Mix and the Roast Chicken Bone Broth (my two favorites! ), then this Keto Pantry Pack Deal is ideal instead. It also comes with the free shaker bottle & cooler bag. You can also order any of the food products individually on the Ketologie website, but the bundle deals are a much better value! When you sign up you’ll get a box shipped to you with the 7 products listed above (keep reading to learn more about those! ), and you’ll also receive an email with your download links so you can get started on the program until your package arrives. That first email gives you instant access to 3 weeks worth of meal plans & recipe suggestions and a GREAT printable Low Carb Recipe Book. I loved it! The Ketologie Recipe E-book has some great keto-friendly smoothie & low carb soup recipes. I want to try the Creamy Pesto Chicken and Pork Stroganoff dinner recipes, plus the Low Carb Cornbread – as a start. 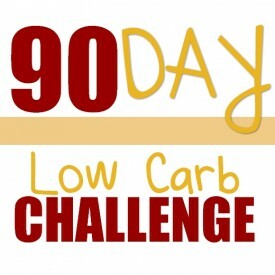 They have great recipes & ideas for low carb sides. And delicious desserts & treats too. I definitely want to try the mousse & cheesecake recipes, those look amazing! The meal planner you get is pretty simple and a great example of how to plan out a week or a few weeks in advance if you want to do meal prep, or go by a plan and have everything organized & on hand to make things easier. The “Educational Email Series” is really good. They go above and beyond with little lifestyle tips in each message, on top of a GREAT education about “going keto” that are really helpful if you’re still learning all the science and health benefits behind it. You’ll learn about important things like: fats, glucose, keto flu, dairy, dealing with cravings, the mental side of things, dealing with stress (and how it affects your weight), etc. They included some great extras in the email series as well, like free online exercise & training resources I wasn’t familiar with. I really LOVE that Ketologie takes the same “keep it simple” and “ENJOY the lifestyle” approach that I do to living low carb. Going through their simple recipes, Keto 101 Guide plus the email series was fun & interesting. They keep it light, without skimping on the info! It was all very much in line with my own thinking and way of doing things, and a well done kick-start program for the keto lifestyle. After going through it all, I would definitely recommend it to someone just getting started. 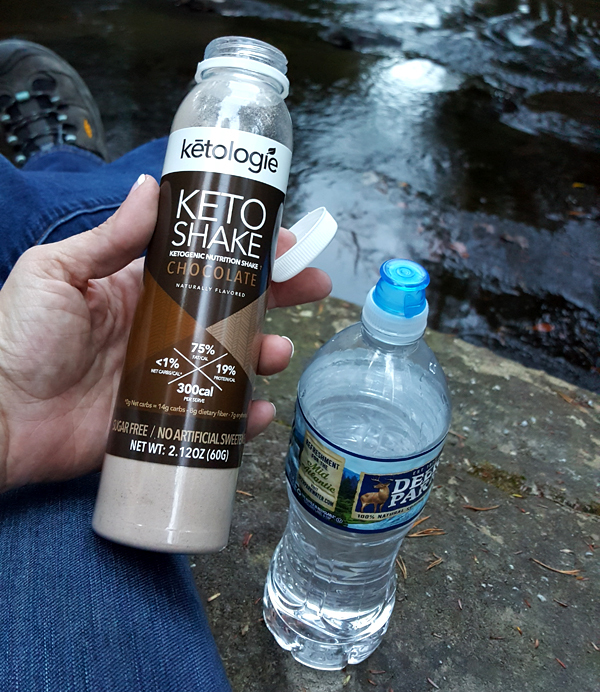 After trying the Ketologie Chocolate Shake Mix on the trail just mixed with water, next I tried it as a “Hot Coffee Shake” by mixing it with hot coffee instead of cold water. I got HOOKED on that. It is SO delicious! I decided to try it in my coffee because it’s better than BPC (bullet proof coffee) with all the same benefits and none of the mess. Everything is already in the mix, including coconut oil AND collagen. 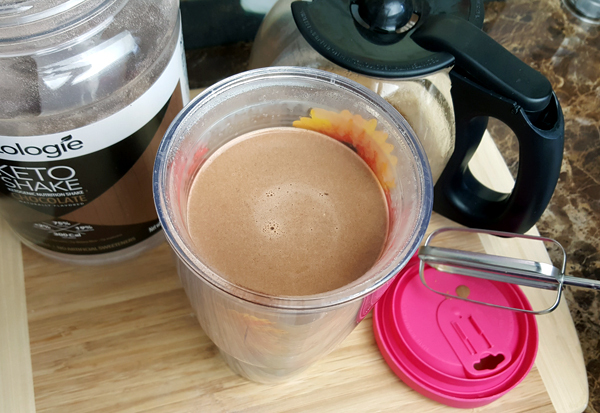 Both the Chocolate and Vanilla flavors make a great hot coffee or cold shake, but they also stir in and dissolve so well you can use them as coffee creamer too – using much less, of course. 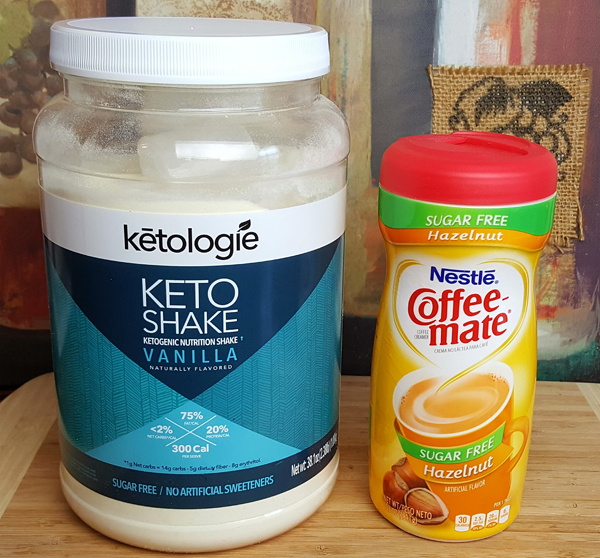 I really LOVE that, because the coffee creamer I’m using is full of “ingredients” (and expensive), and the Ketologie Shake Mix is all natural and a MUCH healthier alternative. 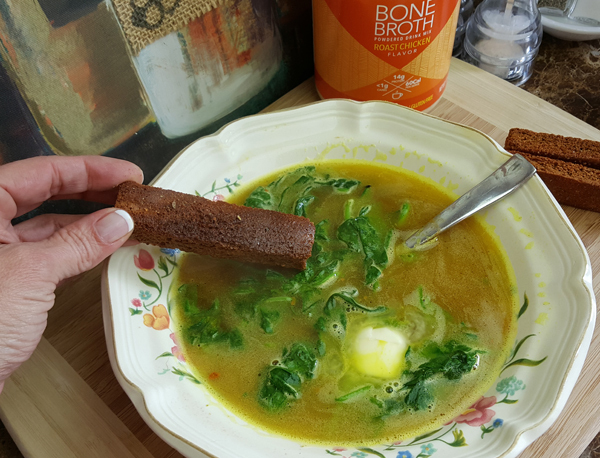 Like the keto shakes, their bone broth is “instant” (just add water) as well, making it super convenient to enjoy on the go – or on the fly without any fuss. 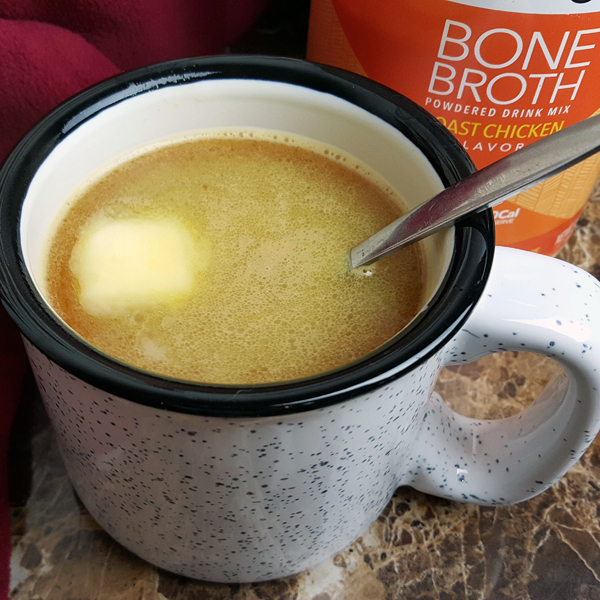 I love the Roast Chicken Bone Broth and find a hot mug of that very satisfying. 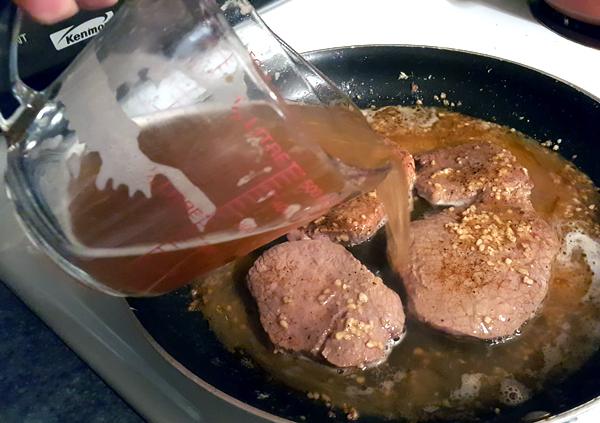 I add a TBSP of butter to make it even richer, and it actually holds me over a lot longer than I thought it would. I also experience a noticeable energy boost within an hour of drinking it! Like the shake mix, the bone broth also contains collagen. Plus it has 14 grams of protein and only 1 net carb per serving. 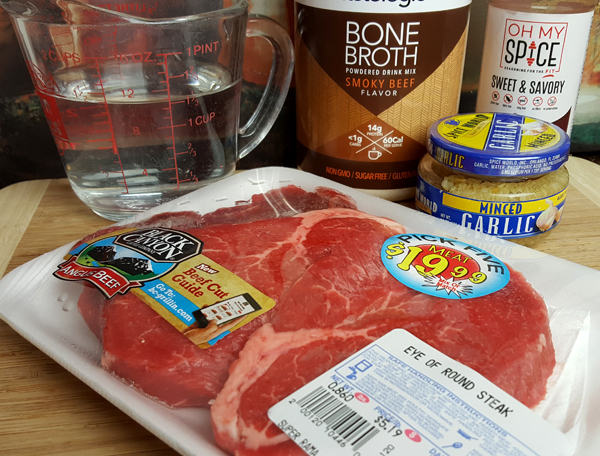 I wasn’t sure what I would do with the Smoky Beef flavor… until I had some Eye of Round Steak to cook, and discovered it’s great for the slowcooker and crockpot! 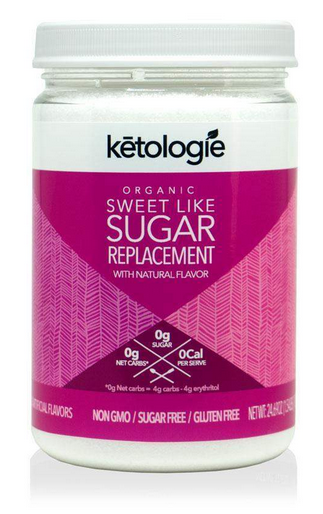 Their all-natural sugar free substitute is made with organic stevia and organic erythritol. It’s granular like sugar, and measures out the same as sugar as an easy replacement in any recipe. I’ve had the chance to bake with it several times, and have used it in my coffee as well. It’s GREAT. It doesn’t have the strong aftertaste like straight stevia or most sugar substitutes, and it’s ideal for low carb recipes. 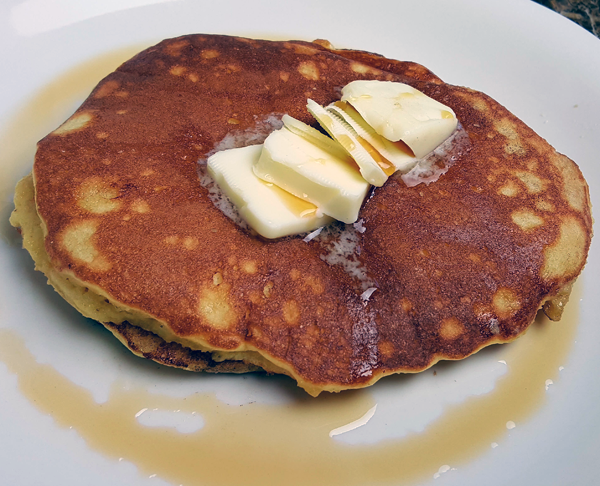 Speaking of recipes, Ketologie will give you a lot of creative ways to use their products – including simple & delicious pancakes with their Keto Shake Mix. When I get bored with eggs, but want something more than a shake, this really hits the spot! 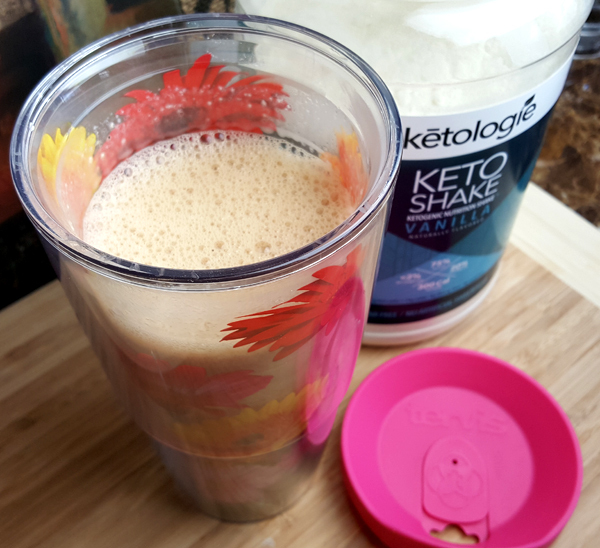 I have to say though, my absolute favorite use of the Ketologie Keto Shake Mix so far is to make a Hot Coffee Shake using either flavor. It just depends on your mood, chocolate or vanilla, hot or cold, it’s great pretty much any way you make it! Both of the Ketologie Keto Shake Mixes come in large jugs with the scoop included, making it easy to portion out servings. You can use less or more depending on your preference. I found that mine is lasting me a lot longer than I thought it would, based on the number of servings it says it has – but a serving is A LOT, so I don’t always use that much. 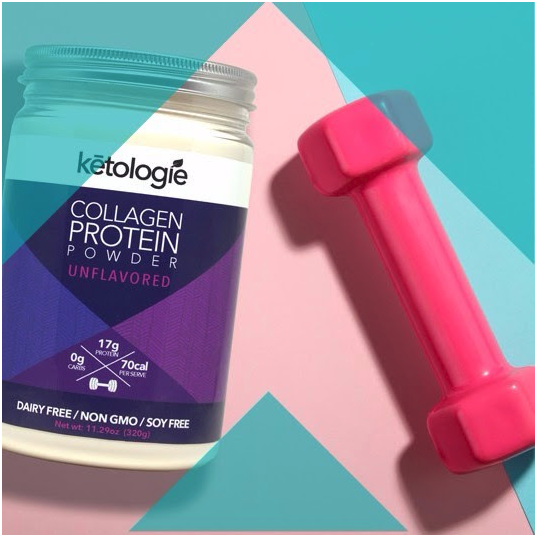 I wasn’t aware just how beneficial collagen can be as a food supplement until I started using the Ketologie products. Apparently it’s a hot topic and I was the last one to know 🙂 lol. Read more about the benefits of collagen. It’s great for joint strength, as an anti-inflammatory, for more youthful skin and for longer/stronger hair & nails – just to name a few perks. I can tell a difference already just using the shakes & broths that contain this collagen in smaller amounts, so I want to start adding this in daily! It dissolves into soups, broths, smoothies, shakes, coffee, tea – you name it. I always find it curious when people are asking about protein shakes in low carb circles. We don’t need “protein shakes” or “protein powders”. You want to keep protein at 25% of your total daily calories, for ideal Keto Macros. 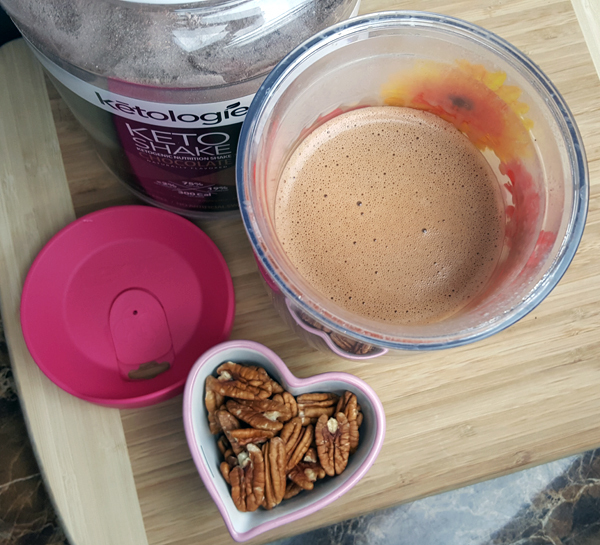 That’s what I love about Ketologie Keto Shakes. Their mix is like “Instant BPC” with more healthy fats (coconut oil) than protein. They also have GOOD organic ingredients and NO junk on the label. When you compare similar products (anywhere close to the quality of Ketologie), they have good pricing and offer a great value. I encourage you to do comparisons – and be sure to consider the size/quantity, price AND ingredients. Go for the highest quality and fewest ingredients. 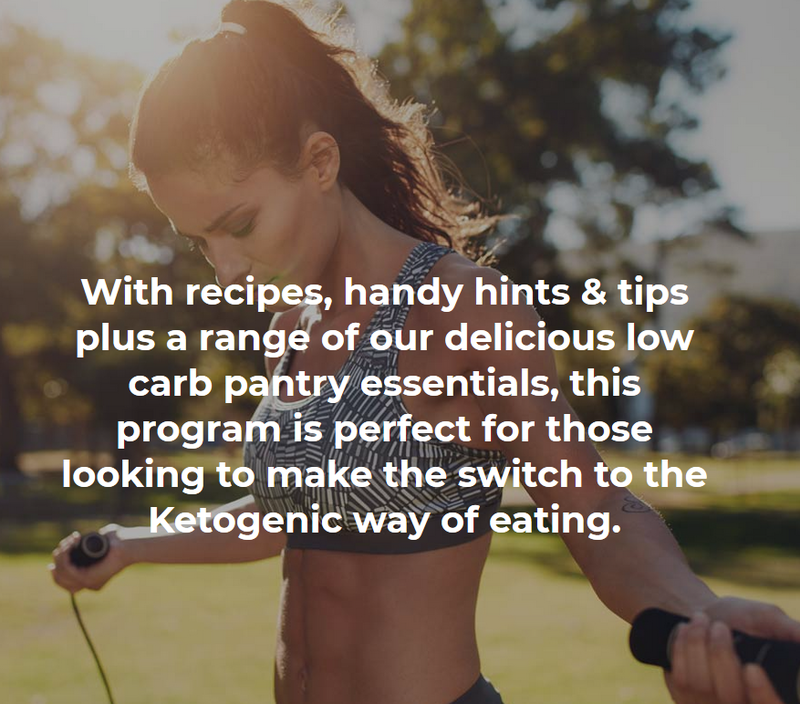 I hope this review, my experience with each of the products, and my overview of what to expect from the Ketologie Keto Kickstart Program proves helpful. I’ve been getting A LOT of questions, so I tried to cover them all on this one page. You’ll LOVE the Ketologie products. The Kick-Start Program and the Bundle Deals are a great value, depending on which products you want – like I mentioned above. You can order any of the individual products from the website as well of course. I hope this helps you make a decision if you’ve been on the fence. 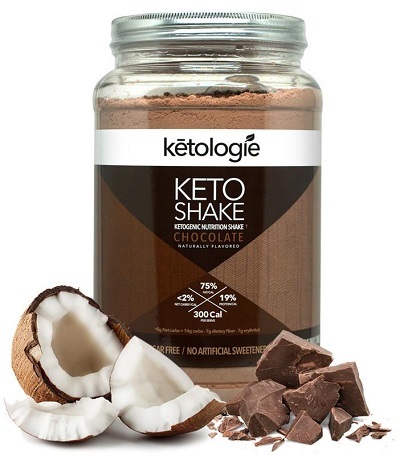 You can get Ketologie Shake Mix on Amazon (see link below), but none of the other products. The better value is the Keto Kick-Start Program or the Pantry Pack & Shake Bundle Deals I linked to above. Once again, thanks Lynn for being the “guinea pig” for us low carbers. I really, really appreciate your honesty you provide. Not many, well I don’t know of any that are honest and upfront with items they don’t like. 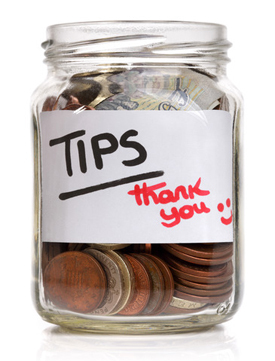 A person could give all positive reviews just to earn their commission, or referral money, but not you. To me that speaks volumes and volumes about your beliefs and values you have for each of us trying to make it with this lifestyle. I will always and forever be a fan of yours and can’t say it enough I appreciate what you do. I know I sound like a broken record, but thank you, thank you so much for what you do!!! I really appreciate your kind words, Patricia. 🙂 Your note made my day first thing this morning!! You’re the only person I follow for my LC lifestyle. I too appreciate your honest reviews. I have gotten several products from your page because I trust you won’t steer me wrong. With that being said I am now consider Ketologie. Thank you, Cindy – it can be really hard to navigate all the options & choices, even at local stores! I wasted so much money my first year trying out different things, with no real knowledge or even a clue what to look for on labels or in the ingredients. It was such a huge change for me! I’m curious – which Ketologie products are you most interested in, and how do you see yourself using them? That really interests me too. Especially seeing results. Aaron and I have both tested the broth and shake mixes and love the results – as we’re both in our 40’s with various joint aches kicking in, lol. So I’ve been thinking of trying Keto and have been seeing quite a few different Keto “Experts” in my FB stream. I read your LC info but never really gave it a good effort. I do stay away from carbs for the most part but don’t really count and just found out an apple has over 20 carbs – yikes! Anyway, this sounds like a good way for me to start cause I’m better when I don’t have to think and plan as much. That said, are the shakes a meal replacement? And the broth can be used for any soup base, correct? With both containing collagen would you still get the Extra collagen protein powder? And I’m guessing it would be ok to just add that to a shake? Sorry for all the questions, won’t be able to make it Live but plan on catching the replay. Thanks in advance – I trust your advice and recommendations! Hi Andrea 🙂 Welcome! I’m glad you took the time to leave a note and ask your questions. You can do that anytime, no apologies – I love great questions! 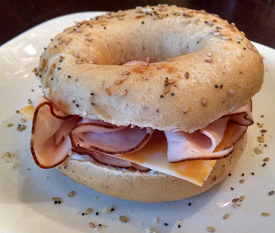 I’m not a big “prepper” myself, so I love the convenience of the Ketologies products, and even more so that they are such a healthy addition to my low carb lifestyle. The shakes are a meal replacement, yes – and even the broth can be used as a meal replacement, as a soothing savory treat that kills cravings, or as a soup / recipe base (that part I loved!). You can add the collagen powder to pretty much anything, even a crockpot meal – it blends right in real smooth with no flavor, just adds that collagen boost! Thanks, Lynn, for doing all the work for us. The products sound great. Is there a coupon code for these products? I may have missed if you already listed one. 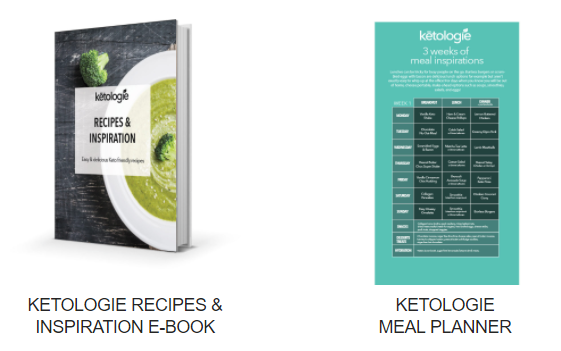 Hi Cindi 🙂 There is not, but if you get on the Ketologie email list – which you can do here by requesting the Free Keto 101 Guide: https://www.ketologie.com/pages/the-ketogenic-way-of-eating?ref=29 you’ll get notified of any sales or deals. Although I haven’t seen any lately myself. I will say though, I was skeptical at first – but after doing some research on similar products (meaning anywhere near the quality of ingredients) – it’s a GREAT value. And the products are lasting me longer than I expected, based on the “serving size” on the site & labels. 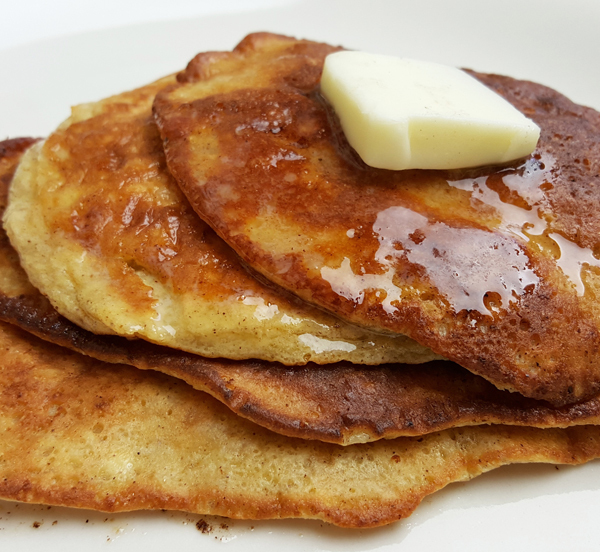 Lynn, Can you share the recipe for those delicious looking pancakes? I order the 2 shakes today. Can’t wait to try it out! Hi Helga 🙂 It’s on the Vanilla Shake Page I believe – the recipe to make pancakes with the shake mix. I’ll find the link. I added blueberries to mine. Delicious! You’re welcome – they’re so easy to make, and delicious! Hi Beth 🙂 I use a lot less than a scoop for a regular sized coffee, but it already has coconut oil in it so you don’t need to add more – or butter / more fat. (It’s already high fat.) Unless you just want to. I just use the shake mix itself in my coffee and nothing else. Do you have a discount code for us to try Ketologie? I don’t have a discount code, no – but the Bundle Deals are a great value, especially with the freebies. Hi Lynn. I put in an order on 2/28 thru paypal. 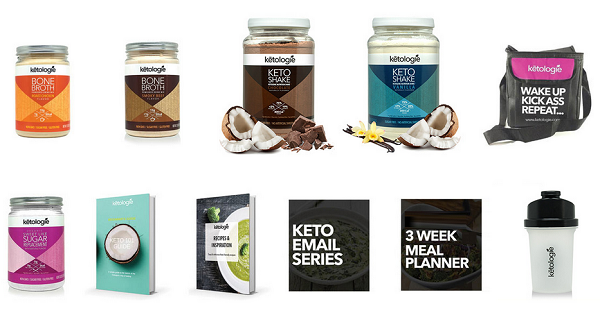 I have received nothing from ketologie except emails promoting more stuff. I cant find a way to contact them thru their website to check status. Any suggestions? Thank you for the link. I did chk PayPal and its gone thru. I will take it from here. All the Best! Update: Dr Tracey responded immediately. Product shipped today. Great Customer Service. Thanks again. I’m ready to invest in the 21 day kickstart, but their site says ‘unavailable”. Then tried to get a pantry pack but some products are out of stock. I left a question for them on their site about this. Are they a viable company that will have products available for purchase when I need them? Got the chocolate shake from Amazon & love it. Concerned & frustrated about the lack of availability. Hope the company comes through with a reply! The kickstart program is unavailable because two of the products in that program are out of stock. The chocolate shake mix and the roast chicken broth I believe, two of my favorites!! Production & Demand can be tricky for startup companies, and with food companies that produce products with a shelf life especially. Freshness and Quality are top priorities. If you don’t get a reply, try again – I assume you used their contact form? Here’s the link: https://www.ketologie.com/pages/contact-us?ref=29 Dr. Tracy is great about getting back to people quickly! Thanks, Lynn. Your reply gives me hope! . I’ll keep checking back. Appreciate your research & testing. Without you, I wouldn’t have known about their GREAT chocolate shake. I really love that you share all of your favorite things (and not so favorite things lol). It has helped me tremendously in this journey. Question – do you happen to know how much collagen is in the shakes? I looked everywhere on their website but couldn’t find anything. Thanks for all you do! There are 14 grams of collagen protein per serving in the chocolate shake mix, and 15 grams per serving in the vanilla. The reason is to keep the keto ratios. You can add more using their separate collagen protein powder – which will add 100 calories and 25 grams of protein per serving. I’ve ordered some and can’t wait for it to arrive so I can try it. I was surprised at the shipping cost, especially when you can order on Amazon for the same price, free shipping and it arrives much faster. But I ordered through your link as a small token of my appreciation. 🙂 Thanks for being the guinea pig! Hi Crissy – thank you… I really appreciate that! 🙂 In the future if you ever need an Amazon link, I can make you one that tracks.